The spots on this butterfly resemble the eyes of the owl and give it it's name. It is quite large, with a wing span of nearly 6 inches. 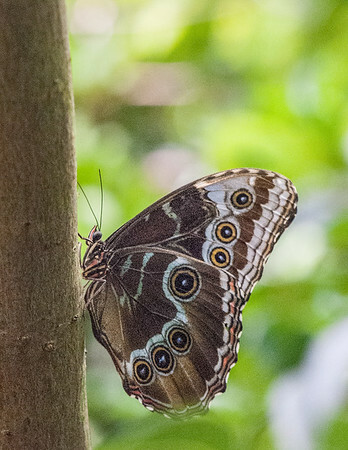 Found in Central and South America, their color blends into the color of the tree trunks they land on and camouflage their presence from predators.